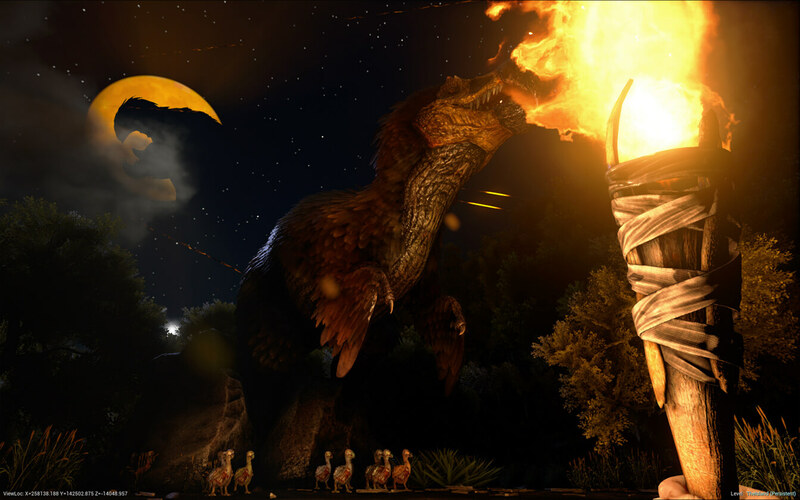 Just now the ARK: Fear Evolve patch (v221) has hit and is live! 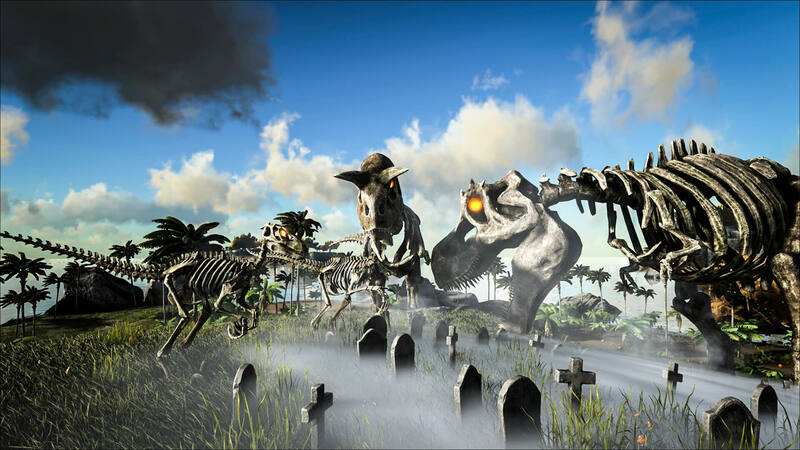 Everyone can now have a week full of spooky stuff in ARK. To start, here are some pictures posted by the ARK developers of some features of the event. These include the zombie dodos, some skeleton dinos and the mighty feared Dodorex! 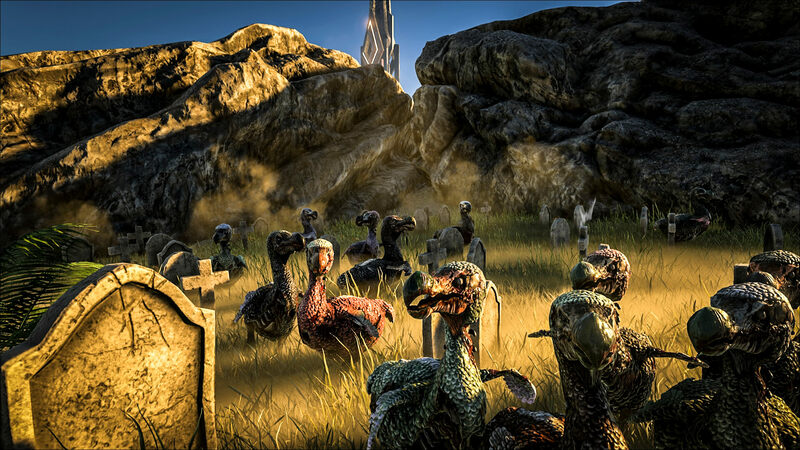 Have fun and don’t forget to kill the Dodorex for an achievement and possibly $100,- that the ARK developers give away!